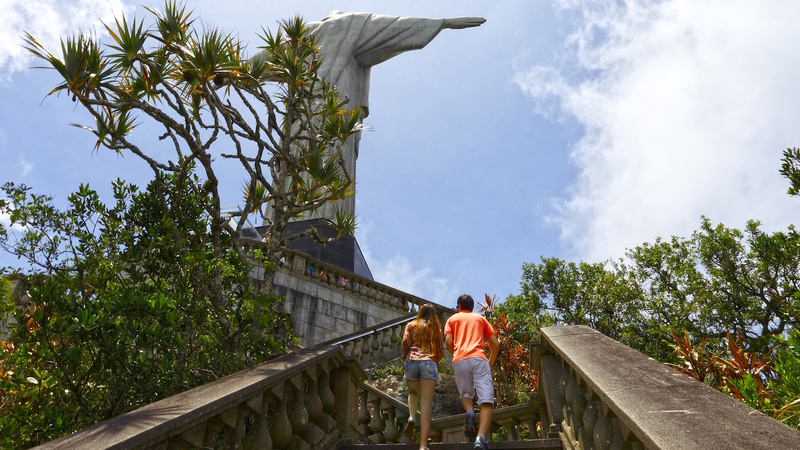 Enjoy an easy bike ride in Tijuca National Park on a high-quality mountain bike. 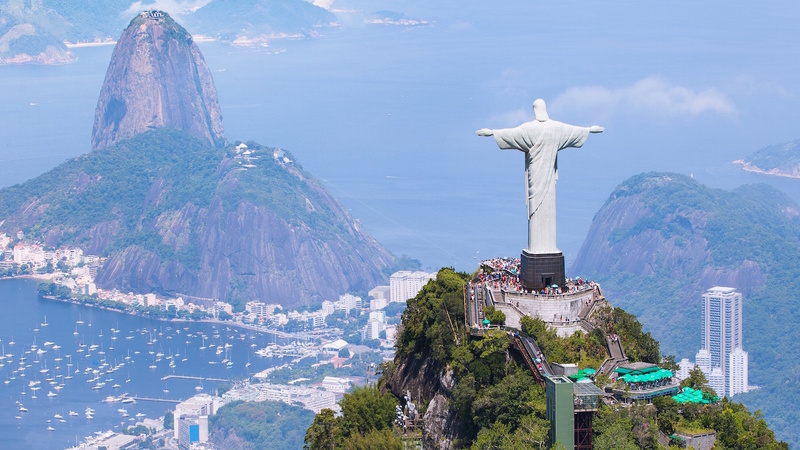 Visit Christ the Redeemer statue and take in stunning area views. 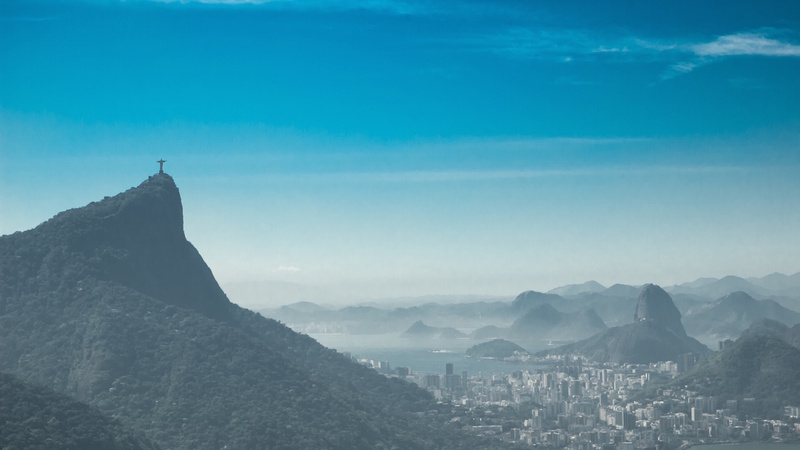 Today the Cristo Redentor ("Christ the Redeemer") statue is the symbol of Rio de Janeiro and Brazil and one of the 7 Wonders of the World, but there was a time when the massive Art Deco rendering of Christ overlooking the city was only a dream of the people. 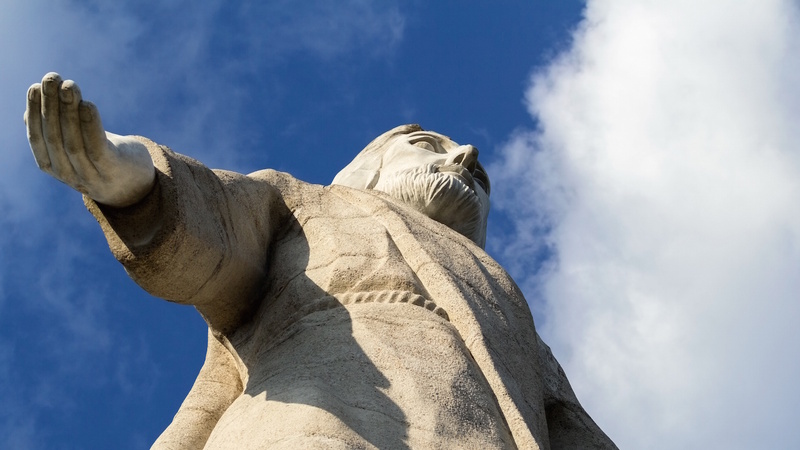 Building a large Christian statue atop the Corcovado (“hunchback” in Portuguese) first became an idea in 1850 as a monument to Princess Isabel, but the project was put on hold. Brazil became a republic in 1889, but with the new separation of church and state the idea was abandoned. It would be another 30 years until another proposal. 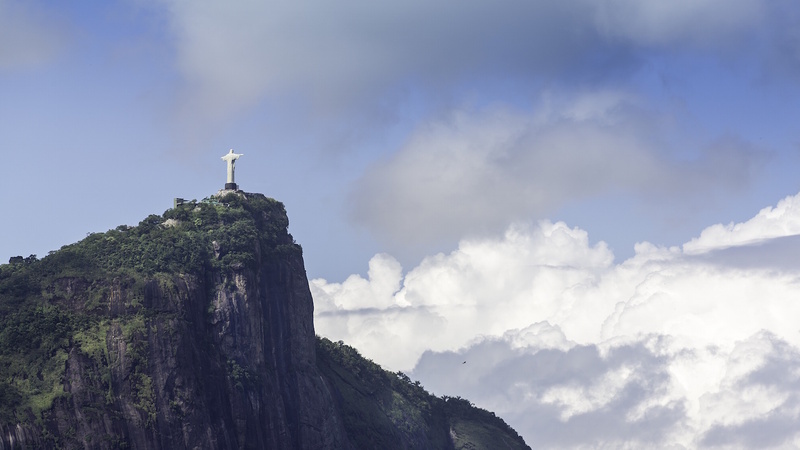 In 1920 the giant population of Brazilian Catholics collected signatures and raised donations under the name of "The Catholic Circle of Rio." There was much debate: the Christian cross, a statue of Jesus with a globe in his hands... but in the end the Christ opening his arms over the city was chosen as a symbol of peace. It was an incredible architectural endeavor designed by local engineer Heitor da Silva Costa, sculpted by France’s Paul Landowski and the face etched by Romania’s Gheorghe Leonida. You can take a tram, van, or bus to get to the base of the statue. Of course, you can also hike up or take a taxi. No need to give an address, every driver will know how to get there. Tickets are necessary to enter the park. The entrance to the park is 50 Brazilian reales (about $22 USD). It's not necessary, but it surely could enrich your experience. Go early in the morning to avoid crowds and get the best photos. The sun will be behind the statue after midday. | If riding the tram, sit in the very back to get the best views. Our guide Flavio was simply the best! Friendly, super knowledgeable and very kind - he made the wonderful sights and locations come to life with all his background knowledge and information. Overall an unforgettable and most enjoyable experience. Thoroughly recommended. Great tour, great bus, great organization! Priscilla was an excellent tour guide! We enjoyed every minute of the tour! Even in the cloudy weather it was fun being part of this experience! We would highly recommend the tour! This great day tour with all the sights you need to see. A great tour. Phillipe was an excellent and informative guy who made for a very enjoyable day. There was some confusion picking people up in the morning but other than that things ran very smoothly. We got to see all the key tourist stops in a day, I felt like we definitely had the right amount of time in each zone. Would recommend to anyone with only a few days to see the sights.